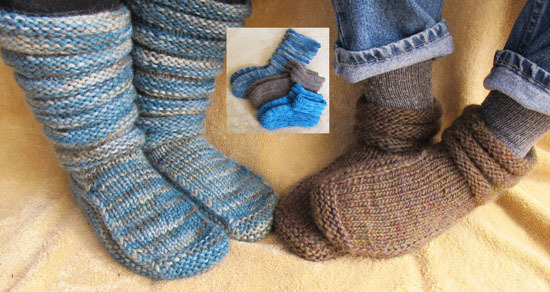 A thick warm slipper for men and women, knitted tightly in bulky yarn for long wear. Sizes to fit women’s size 6 to men’s 14. 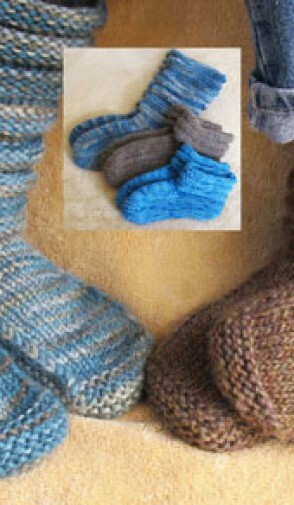 Knitted from the bottom up, you can make the tops as long as you wish.